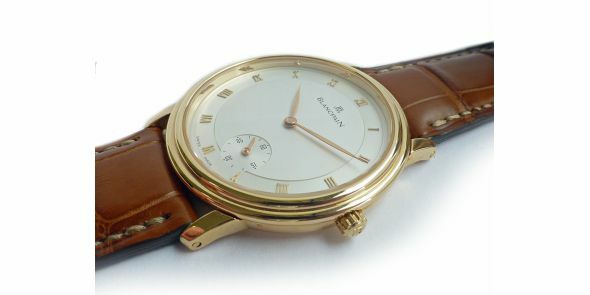 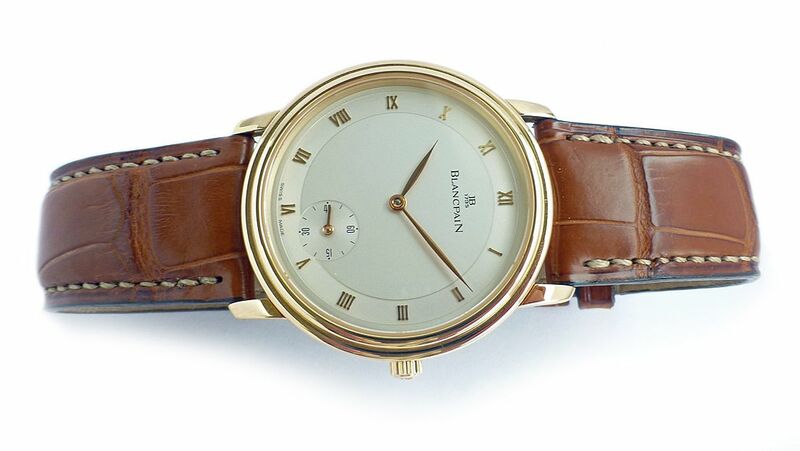 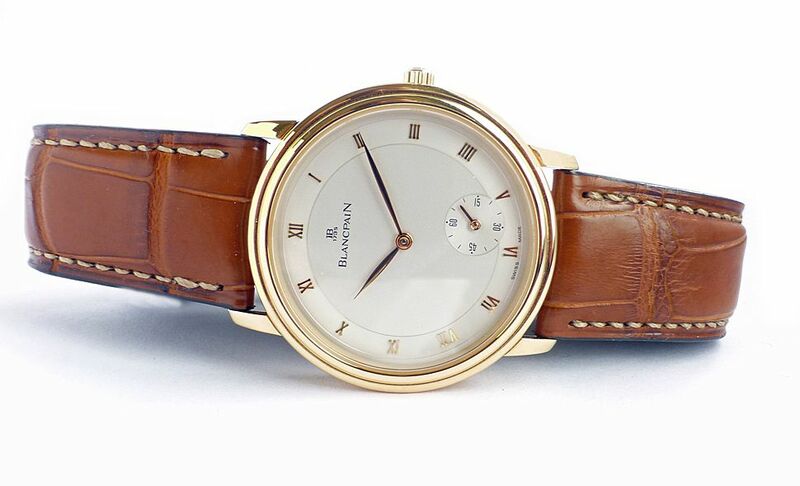 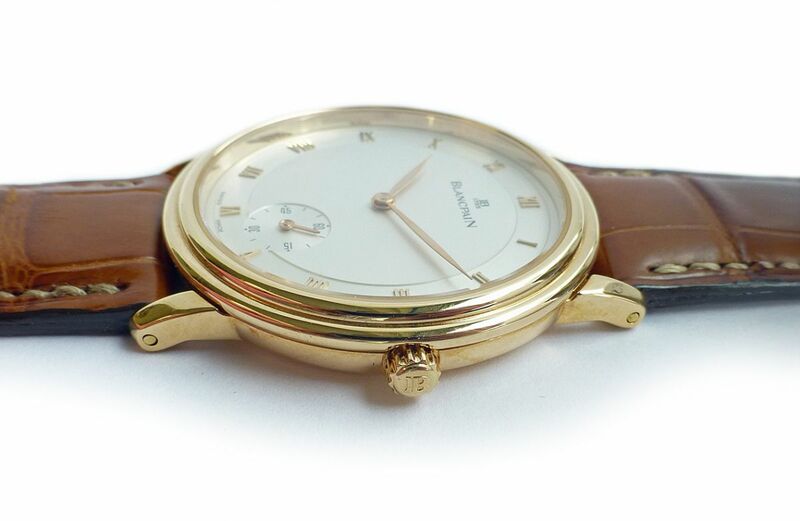 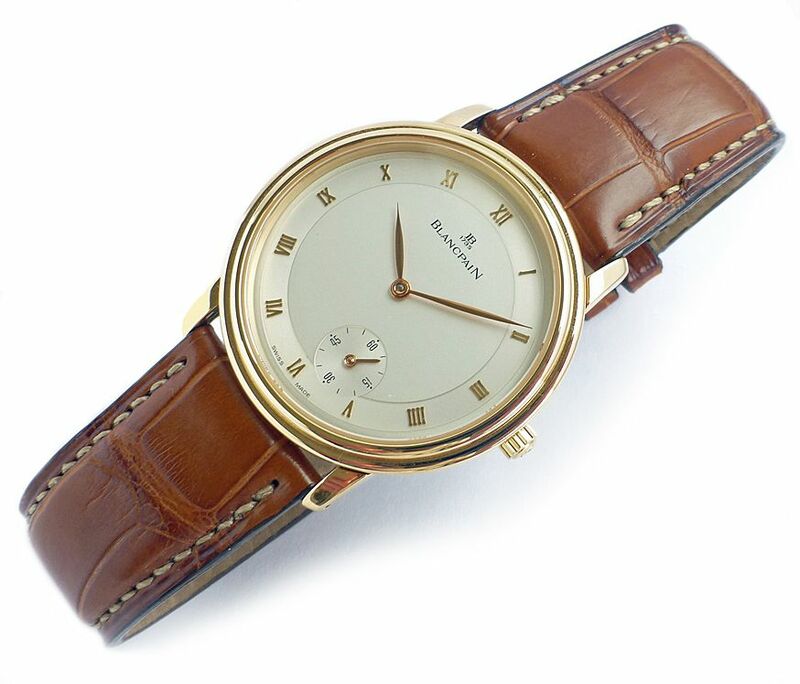 Mint condition throughout Blancpain Villeret automatic wristwatch in 18 karat gold. 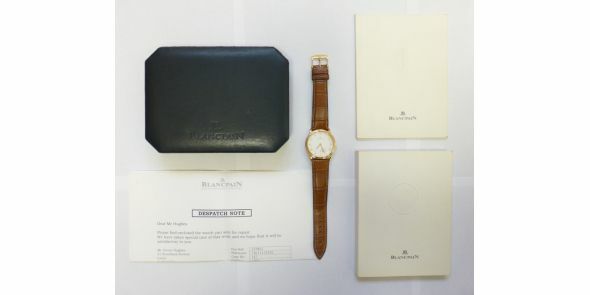 It comes complete with travel case and papers. 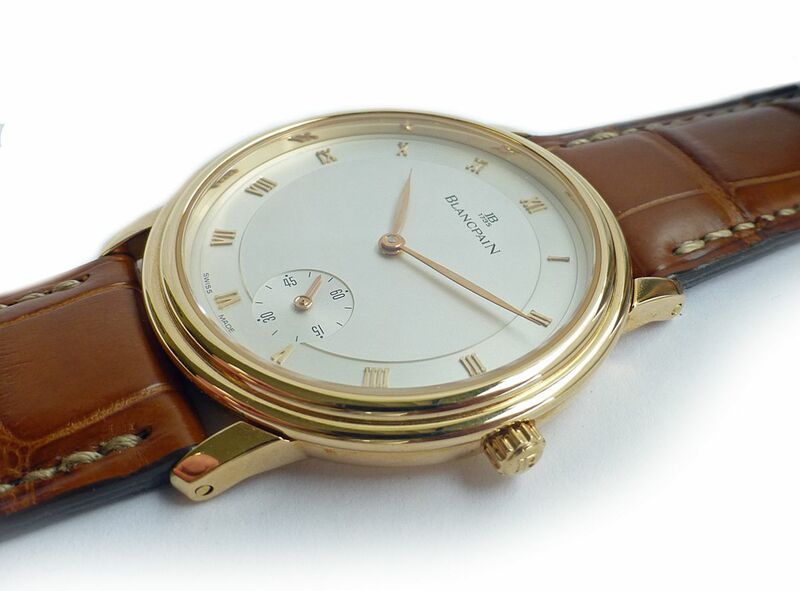 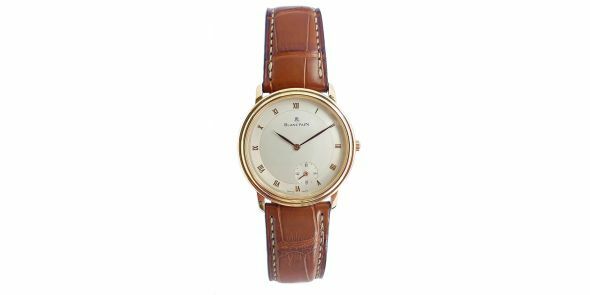 The Blancpain Villeret 0072 is an ultra-slim automatic dress watch in solid 18k gold, from one of the top watch manufacturers in the world. 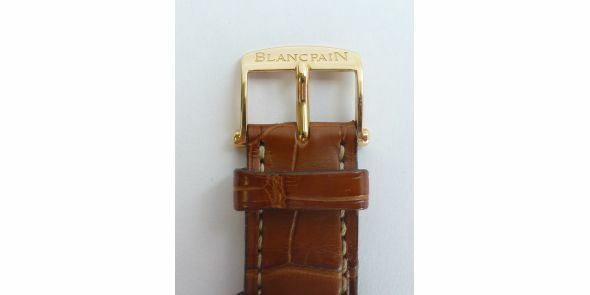 It is a good heavy feel to it despite being slim. 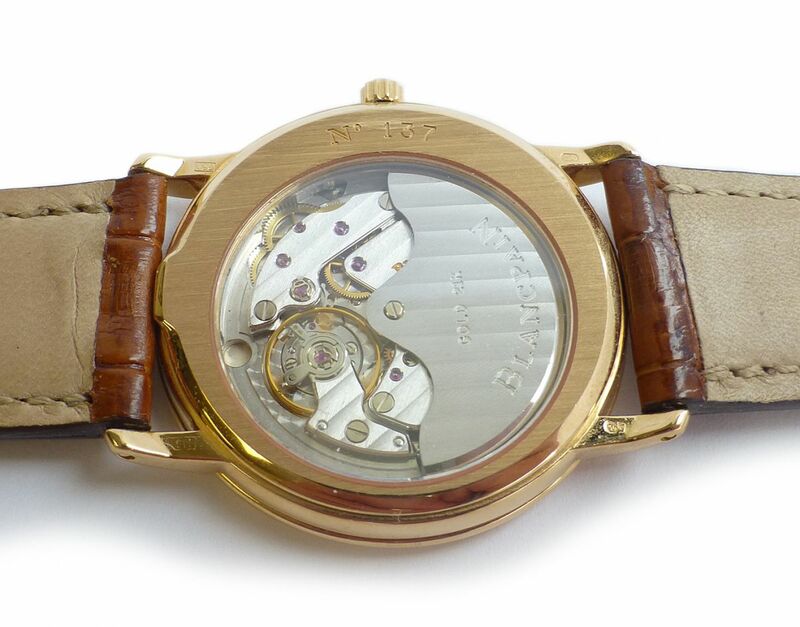 The watch has an asymmetric exhibition back, revealing the beautiful Frederic Piguet 716 automatic self-winding movement with 21k white gold rotor. 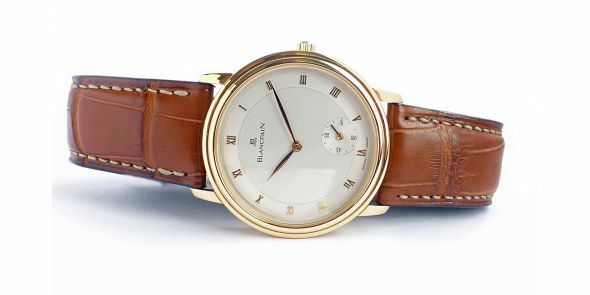 The watch features sapphire crystal to the front and back, 18ct gold hands and indices, opaline dial, and offset sub seconds hand at 5:30 position. 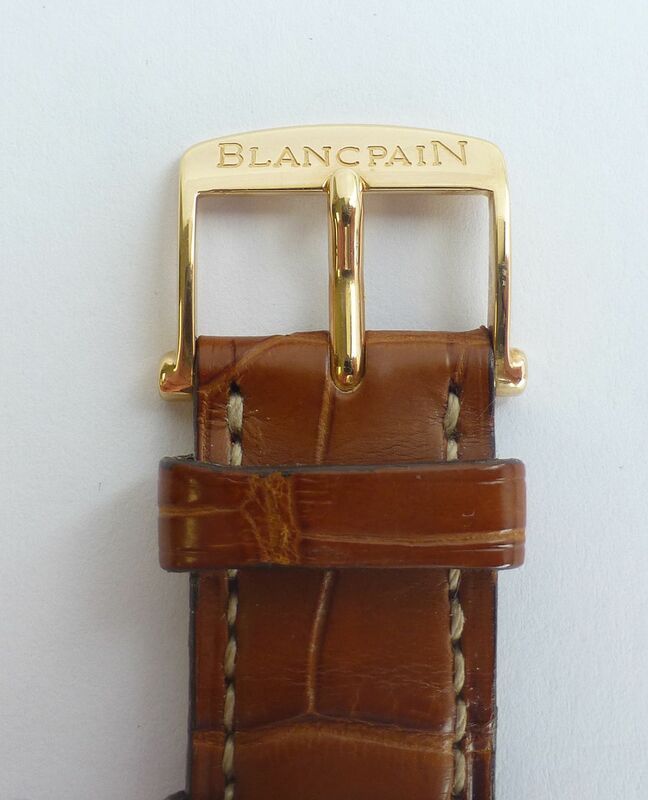 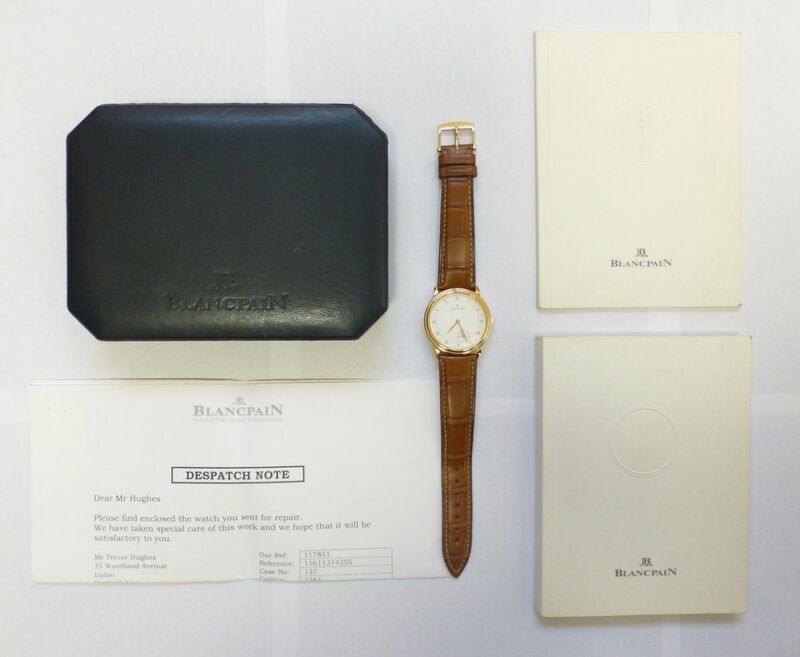 The watch also comes with a new Blancpain alligator strap with 18k gold buckle. 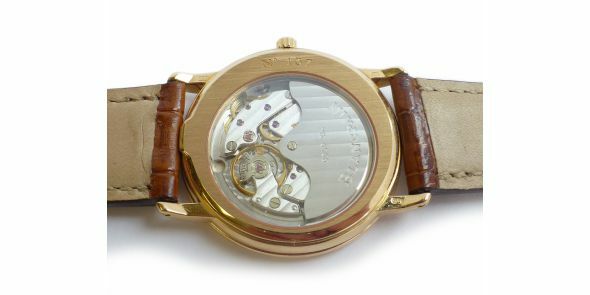 When this watch was first introduced the FP716 ultra-slim movement was the thinnest automatic in the world. 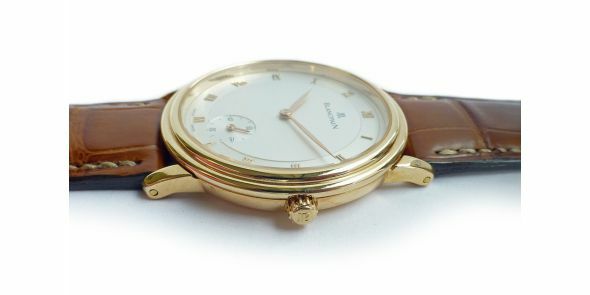 The condition of the watch is excellent and has hardly been used. 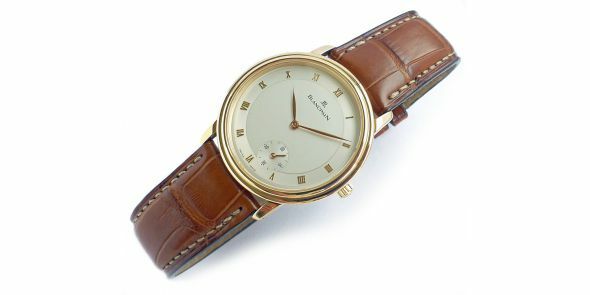 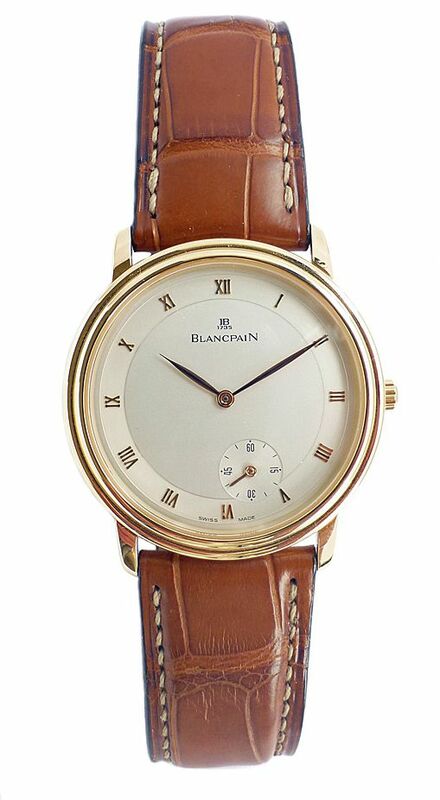 This model is no longer in production by Blancpain and therefore is hard to obtain and rarely come up for sale. 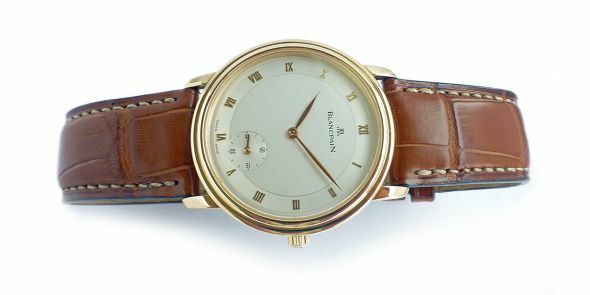 Dimensions are as follows 34 mm excluding the crown, 36 mm including crown, 38 mm lug to lug and 6 mm thick.